DOS will serve the entirety of the UN Secretariat. This includes approximately 100 entities consisting of different offices, departments, field missions, regional commissions, tribunals, and others across the globe. 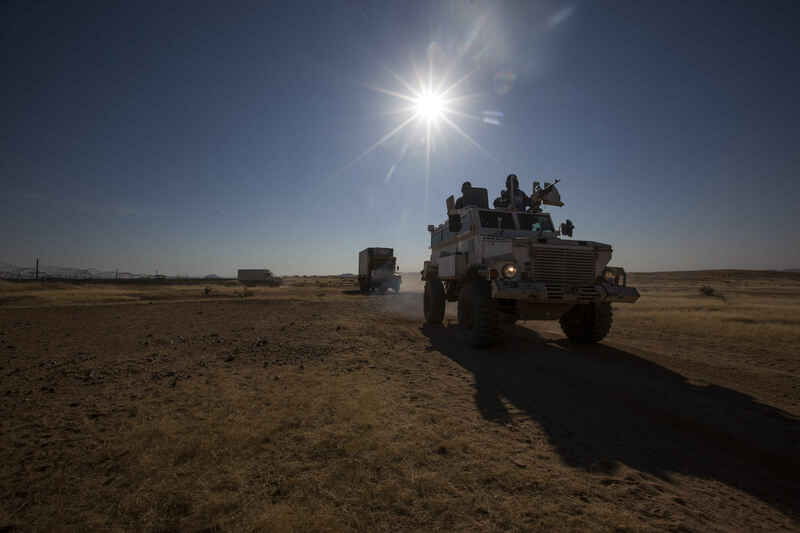 UNAMID/Hamid AbdulsalamAn armoured personnel carrier providing protection in Anka, North Darfur, during a visit UNAMID’s leadership conducted to the area. 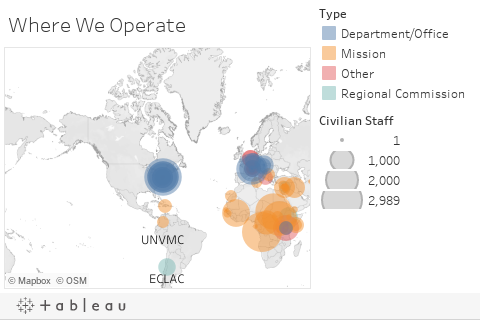 To provide operational support services, DOS will build on the existing global operational support architecture, providing support to and in partnership with Offices Away from Headquarters, Regional Commissions, field missions and others that already provide support services to UN entities. In line with the Secretary‑General’s vision to create a more field-focused Organisation, DOS will primarily provide ‘second tier’ support to entities across the Secretariat. In other words, DOS will act as a business partner to managers, supporting them through advisory, capacity-building and other operational services in areas that lie outside of their immediate capacity or require wider organizational solutions. The interactive map below shows where the entities we support are located worldwide. The map only shows the Headquarter location of each entity. 1. To select an entity, hover over any circle on the map. You will see a textbox appear, providing details on the entity selected. 2. To zoom in/out the map, simply click on the “+”/ “-” symbols in the top left corner. 3. To view more countries/entities, place your cursor on the map and move it around.